We’re looking good at UCE Apartment Homes, with newly renovated one and two bedroom floor plans in Fullerton, CA. 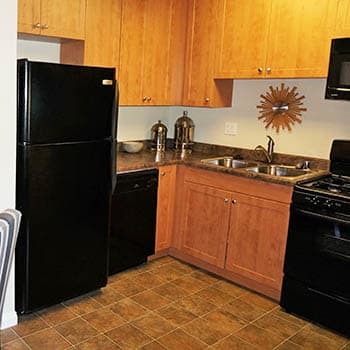 You’ll appreciate student housing that pays attention to the finer details, such as faux granite countertops, quality lighting, and handsome hardwood floors. Air conditioning keeps things cool for you and your pet. Stock up on groceries at Ralph’s or Northgate Gonzalez Markets, and fill your new kitchen cabinetry with fresh food to prepare in your full-size kitchen. A comfortable apartment is a pleasure to come home to after a busy day. Make UCE Apartment Homes your home base in Fullerton, CA. Feel good and live well at UCE Apartment Homes. Schedule a tour of our generous one and two bedroom apartments in Fullerton, CA.